A new challenge on InnoCentive asks for a crowd-sourced solution for determining an individual’s age from a small sample of that person’s DNA. The competition has a a prize purse of $25,000 and a deadline of 7 October 2013 for submissions (free registration required). InnoCentive in Waltham, Massachusetts conducts open-innovation, crowd-sourcing competitions for corporate and organization sponsors. InnoCentive calls this kind of competition a theoretical challenge that requires a written proposal. The sponsor of this challenge, which is not identified, seeks a fast and accurate method to determine a person’s age from various specimen samples. Current means for estimating someone’s age from DNA, says the sponsor, suffer from being slow, difficult to use, and not always accurate. 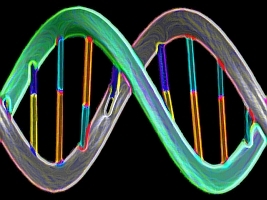 According to the sponsor, the increasing availability of technologies such as bioinformatics and high-throughput sequencing — also known as next-generation sequencing — should make it possible to devise new techniques to determine an individual’s age. High-throughput technologies perform the massive number of sequencing computations in parallel, speeding up the process and eventually reducing its cost. The solution sought by the sponsor should be able to process DNA samples in very small quantities, taken from a variety of specimen or fluid sources. The techniques need to be easy to perform and accurate within +/- five years. The proposal should also include recommendations of databases for validating age estimates from the proposed solution. InnoCentive says the sponsor will review all proposals, with the challenge awarded on the basis of that review. The sponsor plans to enact a non-exclusive license for the solution from the winning contestant. An exclusive transfer of intellectual property rights is not required.